Many adults report that, oftentimes, the toughest part about trying to lose weight is not the hard work out sessions or the strict dieting that you undertake in order to achieve your weight loss goals. In fact, after a couple months of taking a weight loss plan seriously, most people start to see significant results. However, for many people, maintaining that weight loss remains an incredibly difficult task. Both anecdotal and scientific evidence reveals that people usually do not have that much trouble successfully losing a couple of pounds – as long as they can find the time to work out and the motivation to stay away from all their favorite snacks. However, success rates for long term weight loss remains woefully low, even for those who initially had a very productive weight loss experience. People who managed to lose the most pounds had an easier time getting their body to stay at the new weight, but if your goal is to lose only a few pounds, then it might be very hard to prevent yourself from regaining those pounds. You will most likely see your weight shift back to the way it was before within months. At most, it can take a few years before you go back to your old weight. Part of the problem is that your body tends to resist sudden changes, so losing weight over a short period of time means you are likely to gain it back almost as quickly as you lost it. However, when people lose weight slowly and steadily, they still have trouble maintaining the weight loss. One of the main problems is that too many people lose their motivation the second they reach their weight loss goal. They assume that, once they have lost a couple of pounds, they can return to their old lifestyle. Unfortunately, that old lifestyle, possibly combined with the individual’s unlucky genetics, is usually part of what can put someone in a position that makes them want to lose weight in the first place. Studies have, of course, shown that staying physically fit by upholding a consistent exercise routine is important for maintaining weight loss. This does not mean you have to stick to the same strict workout schedule that helped you lose the weight in the first place, but it does mean that you should try to find time every day to get your cardiac muscles working. Dieting habits can also play a role in maintaining weight loss. 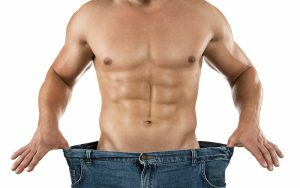 Studies have analyzed dieting habits of men who managed to keep off the weight they had previously lost and compared them to men who ended up regaining most of the weight they had lost. What did successful weight loss maintainers do differently from those who were unsuccessful? Sticking to a nutritional diet definitely helped a little bit, but there were very few major discrepancies between food choices of men who regained their weight and men who did not. Still, as one might predict, men who maintained their weight loss tended to eat healthier foods, including nuts and low-fat dairy products, while they stayed away from soda, salty snacks, and alcohol. They also were slightly more likely to eat unprocessed cereals, fruits, vegetables, cold cuts, legumes, eggs, poultry, olive oil, and other foods associated with low fat content and high protein content. Additionally, they were slightly more avoidant of processed cereal, sweets, sauces, sugar, potatoes, red meat, honey, spreads, high-fat cheese, diet soda, and other food associated with high caloric content and low protein content. However, the study also shows that a number of behaviors related to eating, but not necessarily dieting, also appeared predominantly in men who successfully lost weight long term. Fortunately, for anyone struggling to maintain weight loss, most of these behaviors are fairly easy to execute. For example, men who did not often eat out at restaurants or at a friend’s house were better at maintaining weight loss. Additionally, when men were involved in preparing their own meals, it seemed to help them avoid gaining back their weight. Some men who regained their weight also ate at home and cooked their own food, but they had a tendency to work, watch TV, do chores, listen to music, or read a book while eating. In contrast, those who maintained weight loss did not often engage in any other activities while they ate. This kind of multitasking has been shown to decrease a person’s sensitivity to taste, so men who did chores while eating were probably less picky about what they were eating, which could have resulted in increased consumption. What can we learn about dieting habits to help maintain weight loss from these studies? None of these eating habits are surefire ways to maintain weight loss. Paying attention to what you are eating, how you eat it, and where you are eating is definitely a good idea, but it cannot give you the simple solution that you might be looking for. 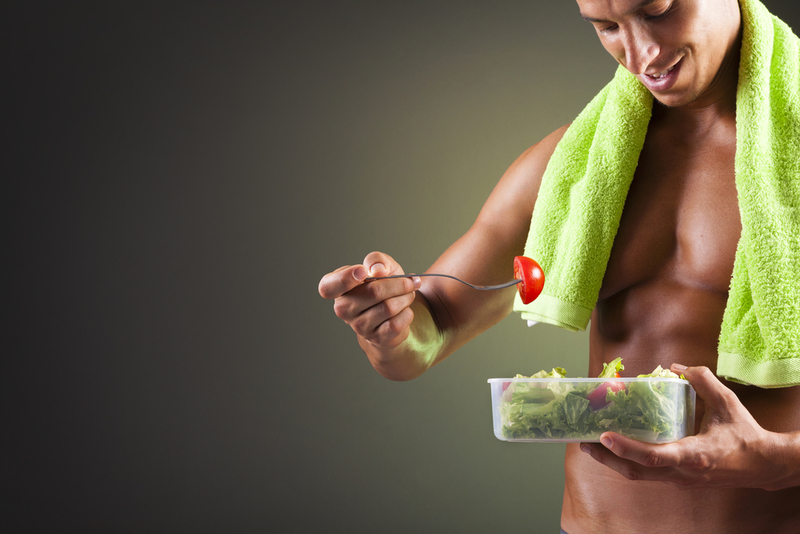 The study also shows that formal dieting is not necessarily the hard and fast answer. The only significant dieting differences between the two sets of men occurred when it came to nuts, low-fat dairy, soda, salty snacks, and alcohol. 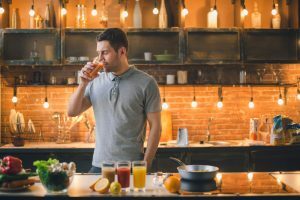 Although, overall, men who ate healthier foods tended not to regain lost weight, many of the successful weight maintainers in the study did not choose foods that were significantly healthier than the foods anyone else chose to eat. Meanwhile, plenty of those who regained their lost weight also had a relatively healthy diet. However, the study does show that food consciousness is an important dieting habit that can help you avoid weight gain. That might mean staying away from soda and sugar, but it can also mean simply noticing the food that you are eating. So be aware of the ingredients in your food, do not mindlessly snack as you watch TV, and pay attention what you put in your body. Being mindful is an important part of being healthy, especially when it comes to maintaining a healthy body weight.